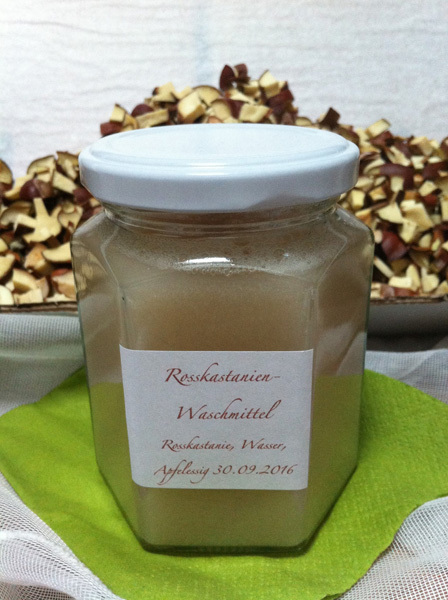 Selfmade washing liquid made out of chestnut and apple vinegar. Add some baking soda and you get a washing-up liquid. Most natural. The chestnut-marc will go back to the nature as food for squirrels and other animals in the winter.